Design philosophy for the HS1 Defibrillators The Philips HeartStart HS1 family of automated external defibrillators (AEDs) include the HeartStart HS1, the HeartStart OnSite, and the HeartStart Home. The Philips HeartStart HS1 automated external Defibrillator (AEDs) are designed specifically for use by the first people responding to an emergency. They are reliable, easy to use, and virtually maintenance free. The design allows these AEDs to be used by people with no medical training in places where defibrillators have not traditionally been used. In fact, the HeartStart Home was the first AED cleared by the United States Food and Drug Administration for sale without a prescription.Factors that had to be considered in their design included the fact that an AED might not be used very often, might be subjected to harsh environments, and probably would not have personnel available to perform regular maintenance. The HS1 AEDs were not designed to replace the manual defibrillators used by more highly trained individuals. Instead, they are intended to complement the efforts of medical personnel by allowing the initial shock to be delivered by the first person to arrive at the scene. Design features of the HS1 AEDs Reliability and Safety FAIL-SAFE DESIGN — The HS1 AEDs are intended to detect a shockable rhythm and instruct the user to deliver a shock if needed. They will not allow a shock if one is not required. DAILY AUTOMATIC SELF-TEST — The HS1 AEDs perform daily as well as weekly and monthly self-tests to help ensure they are ready to use when needed. An active LED Ready light serves as a status indicator and demonstrates at a glance that the unit has passed its last self-test and is therefore ready to use. ENVIRONMENTAL PARAMETERS — Environmental tests were conducted to prove the HS1 AEDs’ reliability and ability to operate in conditions relevant to expected use. NON-RECHARGEABLE LITHIUM BATTERY — The HS1 long-life battery pack M5070A was designed for use in an emergency environment and is therefore small, lightweight, and safe to use. The battery pack contains multiple 2/3A size, standard lithium camera batteries. These same batteries can be purchased at local drug stores for use in other consumer products. These batteries have been proven to be reliable and safe over many years of operation. The HS1 battery pack uses lithium manganese dioxide (Li/MnO2) technology and does not contain pressurized sulfur dioxide. 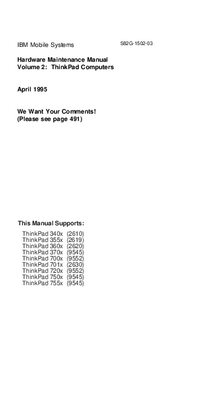 The battery pack meets the U.S. Environmental Protection Agency's Toxicity Characteristic Leaching Procedure. All battery cells contain chemicals and should be recycled at an appropriate recycling facility in accordance with local regulations. QUICK SHOCK — The HS1 can deliver a defibrillation shock very quickly – typically within 8 seconds – after the end of a patient care pause. SMALL AND LIGHT — The biphasic waveform technology used in the HS1 AEDs has allowed them to be small and light. They can easily be carried and operated by one person. SELF-CONTAINED — Both the standard and hard-shell carry cases for the HS1 have room for an extra Defibrillator Pads Cartridge and an extra battery. VOICE PROMPTS — The HS1 AEDs provide clear, calm, audible prompts that guide the user through the process of using the device. CPR COACHING — In its default configuration, the HS1 AEDs provide basic verbal instructions for performing cardiopulmonary resuscitation, including hand placement, rescue breathing, compression depth and timing, provided by the HS1 when the flashing blue i-button is pressed during the first 30 seconds of a patient care pause. If the Infant/Child Pads Cartridge is inserted in the HS1, the CPR Coaching provided will be for infant/child CPR. PRE-CONNECTED PADS — The HS1 uses a pre-installed HeartStart SMART Pads Cartridge. The HeartStart Infant/Child Pads Cartridge is designed for use in the event defibrillation is required for an infant or child under 55 pounds and 8 years old. The AED can be turned on by pulling the green Pads Cartridge handle, as well as by using the green On/Off button. CAUTION LIGHT — When the HS1 is in use and is analyzing the patient’s heart rhythm, a triangular Caution light on the front of the HS1 flashes to alert the user not to touch the patient. When the HS1 advises a shock, the Caution light stops flashing and stays on as a reminder not to touch the patient during shock delivery. I-BUTTON — The HS1 has a blue information button (i-button) on the front. When it is on solid (without flashing), it is an indicator that it is safe to touch the patient. When the button flashes the user can press it to get information such as summary data about the last use or (default) CPR Coaching. SHOCK BUTTON — The orange Shock button on the front of the HS1 bears a lightning bolt symbol to identify it. It flashes when the unit has charged for a shock and directs the user to press the button to deliver a shock by pressing the Shock button. 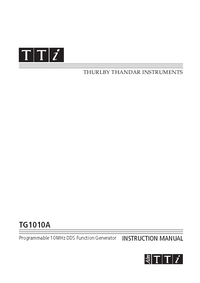 This manual is intended to provide technical and product information that generally applies to the Philips HeartStart OnSite, the Laerdal HeartStart HS1, and the Philips HeartStart Home Defibrillators, models M5066A, M5067A, and M5068A, respectively. 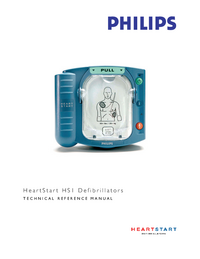 To simplify the discussion, these defibrillators will be referred to as the HeartStart HS1 in this manual.